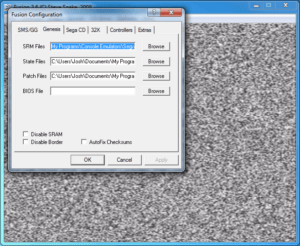 This entry is part 3 of 4 in the series Installing and Using Console Emulators. Next you should set up the input configuration (Options > Set Config > Controllers tab). You can use the keyboard as your input device, but I highly recommend a gamepad. 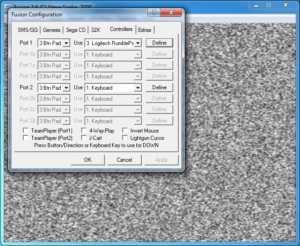 I use Logitech gamepads, but any gamepad compatible with Windows® should work just fine. To setup two controllers, you’ll need to choose each controller from the drop-down menu for each port, then assign buttons on your gamepad to each control. To assign buttons, simply click the Define button for each port, then press the button on your gamepad that you want to use for the control listed in the bottom of the configuration window. As you press each button on your gamepad, Fusion will save that setting and prompt you for the next control automatically. Repeat this process for both ports. You can also select the 4-Way-Play option near the bottom of the configuration window and set up four ports instead of two, but I have not tested this function. Finally, you’ll want to set up the directories configuration (Options > Set Config > Genesis tab and Extras tab). 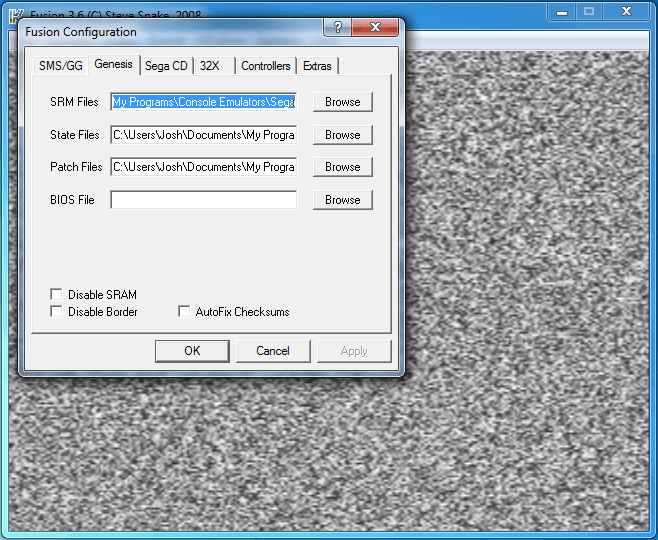 This tells the program where to put save states, screenshots, etc. Your ROMs directory will be set when you go to File > Load Genesis / 32X ROM and browse to the folder where you keep your Genesis ROMs. The program will remember this location when you open subsequent ROMs. Setup directories for save states, screenshots, etc. I leave all other settings at their default values, but feel free to experiment. 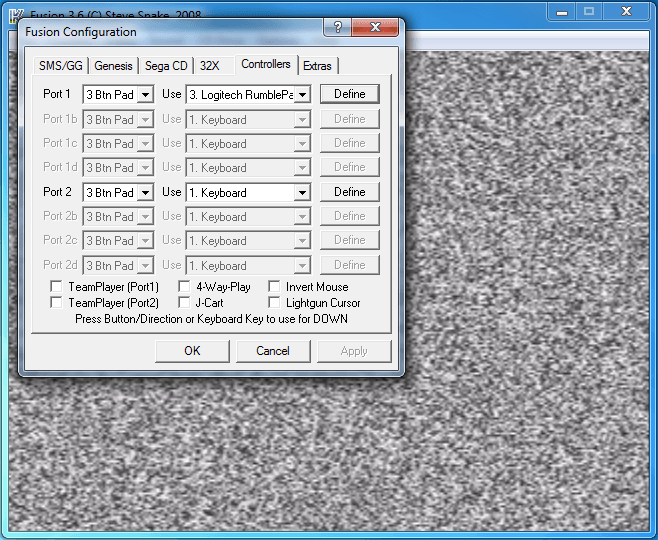 The program includes a readme.txt file with some helpful information on using the emulator, so be sure to look it over. 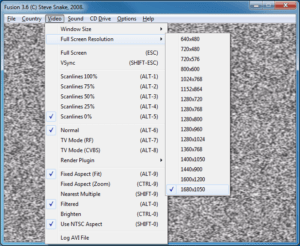 This emulator also supports other Sega consoles like the 32X, Sega CD, and more. I have not experimented with any emulation other than the Genesis, so feel free to try those out on your own. If you have any luck, post in the comments!